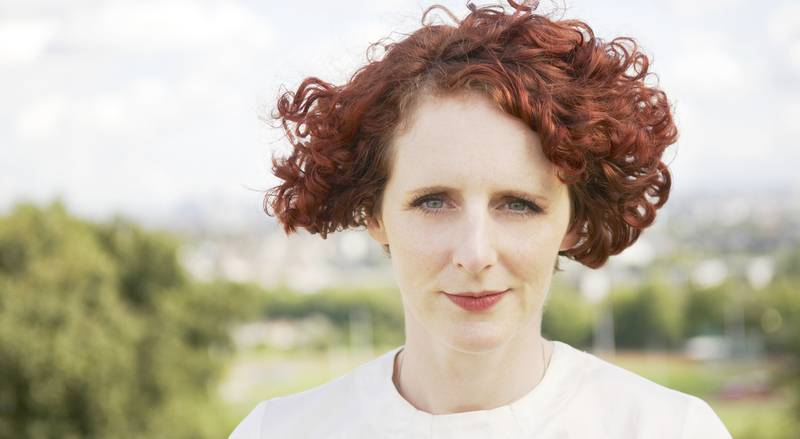 Maggie O’Farrell is most recently the author of Instructions for a Heatwave. Subjects Discussed: People who went crazy during the Eyjafjallajökull volcano, John Cleese’s determination to commandeer a cab, how strange weather transforms communities, unusual nostalgia for the 1976 UK drought, whether fiction can prepare us for the insanity of the human race, families on their worst behavior, Rachel Kushner’s The Flamethrowers (and the bizarre critical controversy, how to present character without ascribing to historical touchstones, taking down narrative scaffolding, prejudice against the Irish in the 1970s, baking bread, keeping the domestic life compartmentalized from a writing life, how writing a book in present tense permits the reader to confront folkways and mores of the past, how novelists can convey and acknowledge behavioral changes over the past, Patrick deWitt’s The Sisters Brothers, when historical novels transmute into accidental essays, too much detail, avoiding beanbags and other kitsch items in 1970s fiction, the raw material of a first draft, women who disguise their dyslexia by memorizing stories, the privilege of reading, literary couples who avoid homicidal impulses when reading each other’s work, having a harsh critic for a husband, surprise plot revelations, familial traits that are passed down, resisting and acknowledging qualities originating from your parents, the fine line between transforming real material into something imaginative and using personal experience, fiction that comes from what you don’t understand, paying attention to children’s disabilities, visual stimuli and curiosity, John Banville’s aversion to research, reading memoirs of British feminists and journalists for inspiration, the pub bombings of 1974, how first-person accounts can help a novelist to get inside characters, inspiration from bedsit living arrangements, family disappearances, Don DeLillo’s Underworld, Elena Seymenliyska’s perspicacious review in The Telegraph pointing to the spate of recent novels with disappearing men, Rachel Joyce’s The Unlikely Pilgrimage of Harold Fry, masculinity defined by disappearance, living in a world in which everyone is spied upon, the romance of walking away from life, seeking dominoes in narrative, and the problems with gender generalization. Correspondent: My understanding is that this book was inspired from people going a little cuckoo roughly around the nigh unpronounceable Icelandic volcano. And I’m wondering how you got form Eyjafjallajökull — I think that’s what it is — to 1976. Just to start off here. O’Farrell: Well, I had planned to write a completely different novel. It was going to be historic and sweeping and intercontinental. And I started doing a lot of research for that. And I did put a little bit of pen to paper. But then it was funny. It was a bit like radio interference. I started getting these snatches of conversation. Images of a family arguing in a kitchen. It was very, very hot in this kitchen. Very, very humid and very close. And it was annoying. Because I actually wanted to concentrate on my other book. But this family wouldn’t shut up. Correspondent: They wouldn’t shut up? Families often don’t shut up. O’Farrell: Exactly. I find that too. And then what happened — this was the tipping point. It was, as you say, the unpronounceable volcano in Iceland erupting. And the whole of Northern Europe just came to a standstill. It was extraordinary. There were no flights leaving. Nothing arriving. It was just lockdown. Correspondent: You heard the story of John Cleese? O’Farrell: That’s one of my favorite stories. Correspondent: He absolutely had to go home. O’Farrell: Only he though. Only he would do that. O’Farrell: I was living in London at the time and my normally pretty sane neighbors were just ranting in the streets about flights they missed or holidays cancelled, visitors who never arrived. People were bulk buying bread and milk. It was this really weird panic which set into the whole of Europe. O’Farrell: (laughs) I guess so. And people were commandeering taxis to drive them from Paris to Madrid. It was really crazy town behavior. And I became slightly obsessed by it. I watched all the news reports. And every time I heard someone talking about it, I would listen in. And I kept thinking, “Well, this reminds me of something.” And I couldn’t think what it was. I couldn’t place it. And then, one day, it kind of came to me. It was the heat wave of 1976. And I don’t know if this was a big deal in the States. But it was certainly a huge deal in Britain and Ireland. You know, it was one of the big defining features of the decade, really. I was four at the time. And this made a huge impression on me. It kind of forms the basis of some of my earliest memories. I think it was one of those situations where the whole country pulled together. We were all in the middle of this huge drought, this huge heat wave. And that kind of unified spirit hasn’t really been called for since the Blitz. Where everybody got stuck here and we had standpipes in the street and nothing coming out the taps. We didn’t have any bars. No hose pipes. Nothing. And everybody had to fill up their own quota every day from the tap in the street. And it’s odd. People who’ve lived through it never forget it. And they all talk about it endlessly. Which for a novelist is a gift. Because I had to saddle up to people and say, “What do you remember about the 1976 heat wave?” And out this stuff would come. And it’s always amazingly personal. That was the other really interesting thing. People would talk about getting divorced and having babies or what happened to them or the kind of games they played as a child. For a novelist, it’s an amazing key to unlock all these incredible stories. Correspondent: How did you start talking to people about what they experienced in 1976? Did you just ask around? Start from friends? Use the Internet? What happened? O’Farrell: Yeah! There wasn’t a huge amount on the Internet, actually. Which was interesting. There were a couple of photographs and a couple of people talking about it and a few sort of newspaper articles about the time. Correspondent: This was one of those particular moments that people hadn’t actually chronicled online, but if you went to the right places, you can get them to talk about it. O’Farrell: Absolutely. It was one of those things where I’d just say to people, “I’m thinking of writing something about the ’76 heat wave,” and total strangers would start to tell me incredibly personal stuff. One woman I never met before started telling me about how she started having an affair with her next door neighbor. (laughs) Which is gold dust, of course. It was an amazing — I don’t know what you’d call it — catalyst to people telling you stuff. O’Farrell: (laughs) I think people are probably very wary. Rightly so actually. Because novelists are ruthless creatures. We will eat anything. O’Farrell: We’ll take something. We’ll just nick it. You have to realize that. Correspondent: I know you ransacked me right before you sat down. O’Farrell: (laughs) Oh yes, definitely. It’s all written down on a notebook. No, I think people are quite wary. But certainly, for some reason, and I’m not quite sure why, with this heat wave in Britain, people suddenly spill their guts out to you. Correspondent: Well, there are a number of things that cropped up in relation to the heat wave. Number one: just how parallel it is to climate change right now. But simultaneously, this also leads me to wonder — and maybe we can talk about this — how fiction may actually be the best medium to discuss how humans are going to change their behavior as we have more floods and hurricanes and rising ocean levels. I mean, maybe the novel is the way to start preparing ourselves for the insanity of the human race. What are your thoughts on this? O’Farrell: Well, possibly. I don’t know. I don’t see anyone really preparing themselves at all in any way, actually. O’Farrell: I think we’re horribly unprepared and we’re just taking an ostrich approach to the whole issue. But I think that was one of the strangest things about researching the novel. That all this anxiety about the drought and the lack of rainfall and the dry reservoirs was in a time before anybody had heard the expression “climate change.” Nobody had even — I don’t think anyone had even heard of the ozone layer. It wasn’t discussed. It wasn’t an issue. That’s all I could think of was when I was researching it. And looking through, I found the government policy that they rushed through Parliament in 1976. And the government’s fear and panic is absolutely prevalent in that document. It’s amazing. You can feel it from the very pages, you know. They were really worried. They were worried about civil disobedience and riots over water. They had all these contingency plans in place conscribing help from the army in case there would be civil unrest. So you could tell they were really anxious. But the big question in my head, of course, the whole time was thinking, “Well what would it be like now if this happened?” Because people would be terrified if that happened. Correspondent: Well, we’ve had a number of hurricanes here and so forth. So there’s a little bit of that. But it is interesting that here you are looking at other turmoil as represented from what people are telling you in terms of their own personal stories and as reflected in the news articles that you looked at and the government documents that you consulted. Yet this is ultimately about domestic conflict. And I’m wondering if keeping some of the extra turmoil to the distance was more of a concern for you in concentrating on these lives. Was it literally just the kickstarter to getting in these characters? To really open up their feelings? Or what? O’Farrell: Well, I was quite interested in something that would bring together that was largely estranged growing up. Siblings, two of whom haven’t spoken to each other for three years. Putting them all and squeezing them all back in the house, the small house in which they grew up, and back into the roles they don’t fit in anymore. The family sequence that doesn’t fit anymore. I was interested in the idea of what would bring people back. Why would they have to come back? And I suppose, just to ratchet up the tension, to use this heat wave. Because it really is a melting pot with them all squashed in together. It’s like a crucible. They can’t leave the house because their dad disappears. In the first pages of the novel, the father, the patriarch, walks out and he doesn’t come back. Correspondent: It’s been noted by several authors and several philosophers that, when you get a bunch of family members under one house, they are going to probably be on their worst behavior. I’m wondering if that might have also been one of the appeals. I mean, I know you do this continuous first draft going forward and plowing through — no plan — for all of your novels. And I’m wondering if crowding people together is going to create natural conflict or what? O’Farrell: I think that’s inevitable. I think families are always going to be irresistible to a novelist. Because first of all, we all have one, whether we like it or not. We all come from someone. And I think also they are a kind of melting pot of different types of personality. I’m sure there’s a mathematical formula that, if there are five people in the family — you know, my math is appalling. Is it 25% different relationships? Well, you know, Freud said that every sibling has a different parent or a different mother. Every relationship — the mother has a different relationship with each child. The child has a different relationship with each other. And I think the interesting thing, for me anyway, about getting older is that you think those relationships are set in stone. But actually they’re not. There are pressures of adulthood — careers, marriages, children, mortgages, various disappointments — that exert pressure on you as a person. And those sibling relationships, and that ordering, can change and alter. And suddenly the kind of younger sibling may not want to be treated like a baby anymore. She might want to stand up for herself and say, “You know, actually, I’m an adult now.” But I think families are particularly bad about catching up with the way people change. They expect you to stay the same. But of course you don’t. Correspondent: I have a corollary to my other question about a larger conflict of a heat wave in relation to — I believe it’s Aoife? Do I have that pretty close? O’Farrell: Very good. Well done. Very few people get that right. O’Farrell: Well, I think, as a novelist, you have to make a decision about what’s going to lead a novel and what your novel is about. I didn’t want to write a “state of the nation” book. I didn’t want to write a book so much about the politics of the 1970s, either in London or New York, which are the two locations in the book. And certainly they come into it, of course, inevitably. If you’re writing about a city, particularly about that — because I think the ’70s was a decade in both Britain and New York that was a very difficult decade for a lot of people. There was a lot of social problems, economic problems. A lot of political instability certainly in the UK. And I think you have to make a decision. And I wanted this novel to be a very, very small focus. I was almost challenging myself. I think with every book you’ve got to set yourself a new challenge. And the book I wrote previously was very, very wide-ranging. It covered fifty years in time. It went all over the world. I wanted a contrast to that. I wanted something — a very, very tight lens, a very, very tight focus. Almost the classical unities of one place.